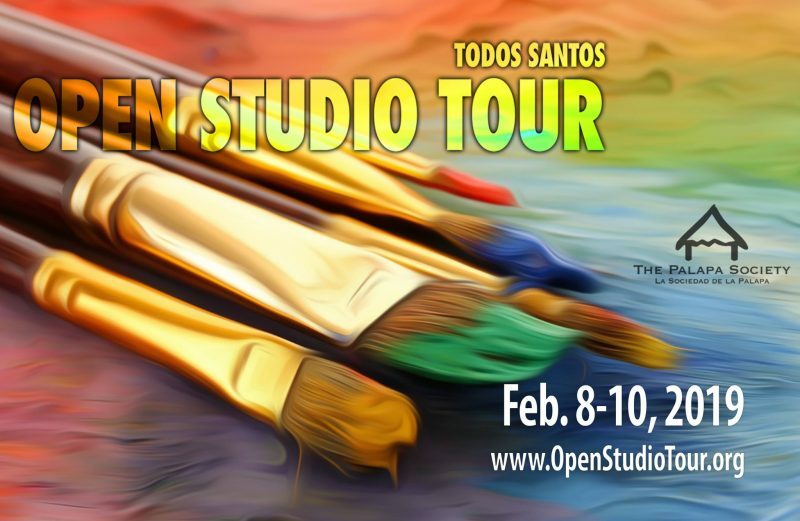 The 10th annual Todos Santos Open Studio Tour will take place Febuary 8-10, 2019. During this three-day event, artists open up their studios to visitors who can meet with the artist and purchase art. Participating artists include painters, sculptors, photographers, muralists, plein air painters, encaustic artists, jewelers, printmakers, collage artists, potters, and wood turners. Funds benefit the Palapa Society’s Chidren’s Art Program.